From rolling green hills and untouched jungles to a slow-life vibe, sublime temples and exquisite cuisine, Chiang Mai sets the stage for unforgettable romantic retreats. With interiors fitted out in natural fabrics and teak, roofs made from 80-year-old teak beams, and a lagoon-shaped swimming pool beautifully surrounded by trees, our atmospheric boutique resort instils tranquillity – just what you need on your honeymoon. From THB 4,299++ per night. Found at the heart of an area once known as the Lanna Kingdom, and surrounded by rolling hills and vivid green rice fields, Chiang Mai makes for a sublime destination for couples and honeymooners. For an active take on your romantic retreat, we suggest you try your hand at hiking through the scenic Doi Inthanon National Park or in and around the Chiang Dao area, white-water rafting along the Mae Tang River, and cycling down gorgeous routes around the city. In a city that exudes serenity and where century-old traditions are apparent, it is no surprise that holistic wellbeing is elevated to an art form. We invite you to enter our spa, Spa Cenvaree, an oasis of harmony for the body, mind and spirit that caters exclusively for your pleasure and well-being. Your stay includes a 60-minute Thai massage, an invigorating and rejuvenating experience that is inspired by ancient rituals. For culture and history enthusiasts, the ‘Rose of the North’ - reminiscent of an ancient village, slower paced and more easy-going - teems with impressive temples. Wat Chedi Luang, Wat Phra Sing, and Wat Chiang Man (the city’s oldest temple), are must-sees. You will also find markets and shopping opportunities in abundance. 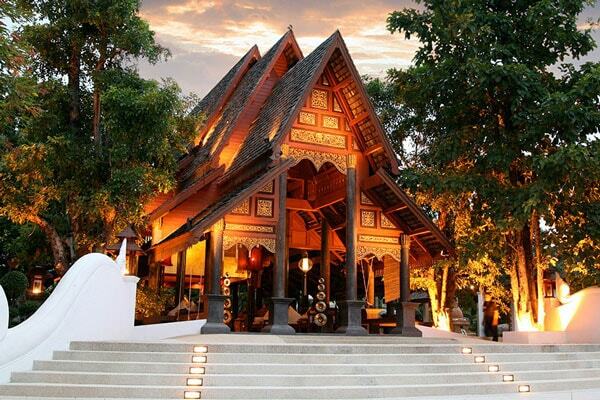 Book your Chiang Mai honeymoon at Khum Phaya Resort & Spa, Centara Boutique Collection today. Residual elements of this offer will not be reimbursed nor exchanged.